If you are just starting out in your new metal detecting hobby, or on a tight budget, you can get a great device for less than $200. 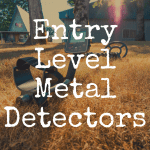 Whether you want a detector that focuses on one type of treasure – jewelry, coins or relics – or you want one that will do an excellent job searching for all three items, we can help you find the best affordable metal detector that suits your needs. 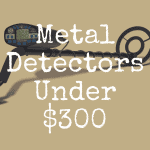 Now, to be honest, you may have to give up a feature or two to get a good, solid detector for under $200. For example, you may not be able to find a detector that is capable of being submersed in water. But that doesn’t mean you won’t be able to locate a quality machine that does a lot of things efficiently. So let’s get right to it. We begin with a detector that sounds like something out of a Western starring John Wayne. The Bounty Hunter Quick Draw II has a price of just under $200. It has notch modes, which means you can “notch in” or “notch out” any type of metal. This prevents you from wasting time digging up a bunch of pull tabs or other trash instead of the treasures you want. The coil is 8” and is water proof for a few inches. You cannot use it in deeper water, but it can be changed for another coil if you want a bigger size. The metal detector is not water proof so you will need to keep the shaft from getting in too deep. The sensitivity of this detector is awesome. You can find coins up to five inches deep and for bigger objects it’s possible to locate them up to five feet deep. Few other detectors in this price range can offer that ability. The display features both target ID and a depth readout so you will know what you have found and how deep you will need to dig to find it. It has full discrimination and a sensitivity control. One of the best entry level metal detectors you can purchase is the Tesoro Compadre. First off, it has a price tag of around $160 and is built to last. It is a solid feeling detector with amazing electronics. The discrimination ability of this machine is wonderful and the response is crisp and clear. You will be amazed at how fast the signal recovery is, too. This is a great detector if you are planning to search in an area with a lot of trash. It is able to distinguish between trash and treasure and will save you time and frustration since you won’t be digging up junk for every signal. One downfall to this model is the coil is permanently attached, so you won’t be able to purchase a bigger coil and exchange them. However, the entire unit is priced so low that the entire detector costs less than a new coil for some other devices. 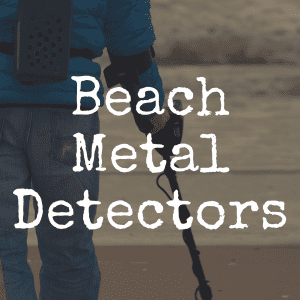 If you want a metal detector that looks “cool,” this is probably not the one for you. It does not have any fancy LCD screens or touch pads. But it is very easy to use – definitely a “turn on and go” machine – and has a lifetime warranty that you’ll likely really appreciate. For about $190, you can grab a Teknetics Alpha 2000. This is the manufacturer’s beginner model, but many experienced hunters continue to use it because it is so lightweight. It also has a huge LCD screen that is very easy to see. It does not have numeric target ID – it only has category ID. Once you get used to it, the category ID is fine and you may never miss the numeric feature. This is especially true for beginners who have never used either type of target ID. Some Teknetics models had a problem with electrical interference near cell phone towers or power lines. However, the newer models have had the problem resolved and if you happen to purchase one used that still has this issue, the company will fix it for you. The Alpha 2000 has three audio tones so you will know exactly what you have found before you start digging. It does not have an all metal mode, though. With a cost of about $140, the Bounty Hunter Sharpshooter II is a great little metal detector. It has a large LCD display with soft touch buttons, so you can easily set the controls to find what you are looking for. The display will also show whether you have found iron, silver, gold or another metal. 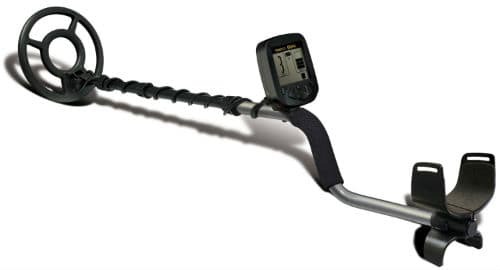 This metal detector is fully submersible and can also help you find treasures that are buried up to five feet deep. It includes several modes, including all metal, coins, and jewelry. It has several different tones so you will know what you have found by what you hear. Another awesome feature is Ground Trac, which is an automatic ground-balancing feature. You won’t have to change your settings – the machine will do it for you. Garrett is a name that many in the metal detecting world trust to produce amazing products. The Ace 150 has a price tag of around $150 and offers some of the best features you can find in metal detectors. It has a 6.5” X 9” PROformance search coil that is interchangeable and weighs less than 3 pounds. It is a very sturdy machine and is very easy to use. It doesn’t have a lot of complex settings or adjustments for you to have to figure out. The model has accurate target ID and amazing discrimination. The depths you will be able to search will keep you busy digging for treasures. 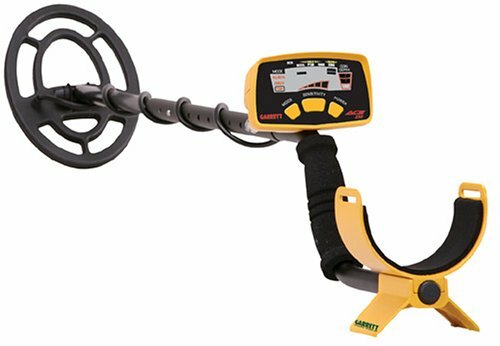 This metal detector is the best one you can find for under $200. 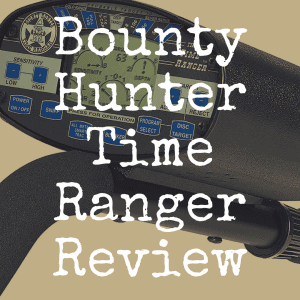 It has all of the features that any beginner or experienced hunter wants in a machine. The quality of the machine can’t be beat and it is one you will want to carry for years – even after you upgrade to what you think may be a better device. Both newbies and experienced treasure hunters will enjoy any of these awesome machines. Each one offers a different set of features that may attract users to that particular model or brand name. These are all great deals for less than $200. If you are a beginner, you will be able to quickly learn how to use any of these and still find some wonderful treasures. Even experienced hunters still use these models, both as their main detector and as one they keep in their trunk for quick searches. Was this a helpful article to read? If so, please “like” our brand new Discover Detecting Facebook page! 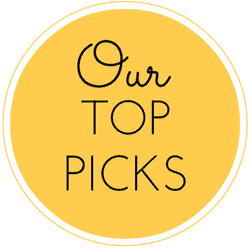 Fore more great reviews of metal detectors, as well as helpful tips, be sure to bookmark our homepage. 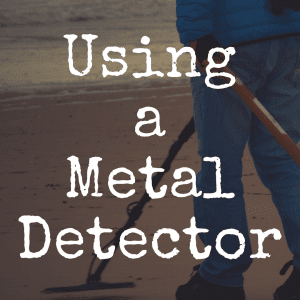 What’s the Best Metal Detector for Beginners? 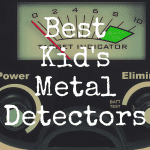 What’s the Best Entry-Level Metal Detectors?